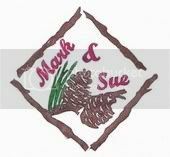 Letterboxing with Mark & Sue: Only A Month Away! We can hardly wait - the 10th anniversary of letterboxing's We Live and Breathe Letterboxing event is less than a month away! Based on several emails from Der Mad Stamper, posts we've read on line and just the general buzz about the letterboxing community, we are confidant that this event will be unlike any other previous. Knowing Mitch and the committee and their penchant for mystery and innovation, we can expect the unexpected! This event will truly be the gathering of the decade. The official guest list was released the other day, but our theory is that it is incomplete. Might there be a surprise guest or two? Time will tell. As we said, expect the unexpected! If I can stay focused enough at the gather (those that know me realize that's a problem!) my intent is to record the reactions and impressions of some of the attendees and the recording will be forwarded to Jackbear for a future podcast. Again - if I can keep my wits about me!!! Keep up-to-date with all of the latest We Live and Breathe news at the official event website. 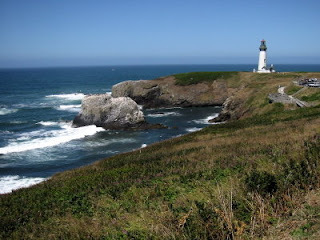 After the non-stop action of the weekend gathering, Sue & I are headed out to Newport, OR and the beautiful OR coastline for some relaxing and boxing. Luckily, we came across a condo unit to rent for the 6 nights that is located across the street from the beach. We are spending Sunday night through Saturday morning there. I have already run off most of the boxes within a 25 mile radius of Newport - heading north, south and west. We probably won't have time to do them all but it's better to have too many with us than not enough!!! So - that's the plan for our next adventure. We hope that you will also consider attending the gathering. It should be something for the record books - ah - logbooks!